By LittleRickyII, October 13, 2014 in STOP THAT! NOW GO BACK AND SIT DOWN! It is usually reported that the last Lucille Ball-Desi Arnaz Show was filmed the day before Lucille Ball filed for divorce in 1960, which was Desi's birthday on March 2. I've long been dubious of this assertion. The only evidence I have ever found of this is that on March 1, Lucy had completed "the last bit of film" required under her contract. But "last bit of film" does not necessarily mean the series itself. She was also required to film commercials for Westinghouse. So maybe that last bit of film was nothing but a commercial. In fact, in the closing credits of the last episode, doesn't it have a 1959 copyright date? Also, I just came across this October 1959 article on Vivian Vance, titled "Lucy, Vivian Part Friends." Everything about the show is written in the past tense, as if completed already. For example, this quote from Vivian: "In all the nine years I was with Lucy I never appeared in a movie or TV show. Toward the end I thought I was getting tired of acting, but I was just weary of the same role. From now on I hope to never be seen wearing a Marcel and house dress." Here's another article, from January 29, 1960. It's titled "End of an Era" and starts out talking about the last episode with Ernie Kovacs. It says that Lucy "hurried to her dressing room and wept," as the episode was completed. So clearly that episode could not have been filmed in March if an article about what happened after it was filmed appeared in the newspaper two months before that. Interesting. I always thought the divorce filing on the day after was because this was the last thing on the contract. Apparently the divorce filing was MONTHS after the last show was filmed. Here's another article dated December 6, 1959. In it is this quote from Vivian Vance: "There's only one more Lucy show to go, and that's already been made." I thought the filing was March, she went to court in May and it was granted then. So when was Japan filmed and the Playhouse Christmas show had to get in there too. That's a lot at the end of 59'. Keep in mind that these Lucy-Desi specials had only a three-week production schedule. Only three episodes were produced for 1959-60, so that's just nine weeks of production. There was plenty of time left to do other things. I can't find anything on when the Bob Cummings and Milton Berle specials were filmed, but here's an announcement from June 1959 that Milton Berle was soon going to work as a guest star on the show; it didn't air until September. In later years on The Lucy Show and Here's Lucy, most of a season's worth of episodes would sometimes be in the can almost before the season even began. Production often began around April even though the season didn't start until September. Production would run until just before Christmas, if I've got my dates right. But original broadcasts would continue until around early March. So there was nothing unusual about having shows in the can months before they aired. There was more than a four-month gap between the air dates of "Japan" and "Mustache." With only three weeks needed to produce each episode, it doesn't make much sense that there would have been an equally long gap in production dates. These articles all indicate the last show was produced well before March. So the books that point to March as the production date have got it wrong. My question is how much earlier than March was it filmed. 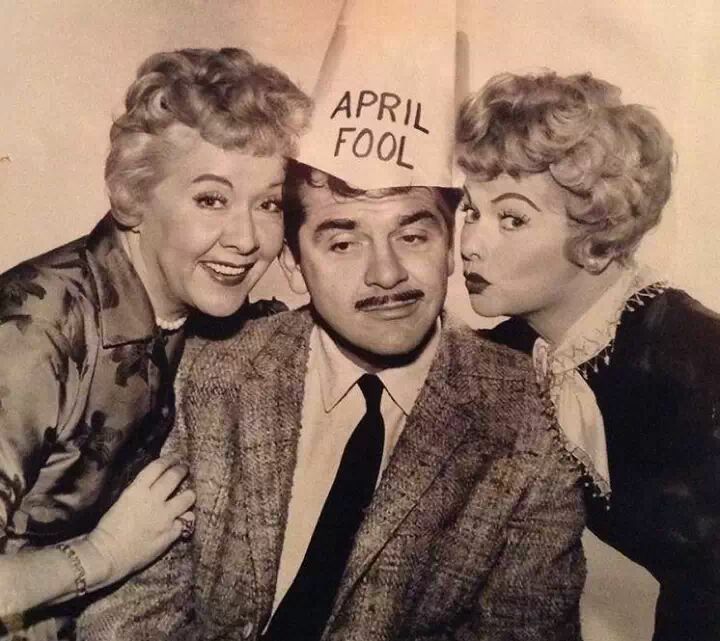 If Vivian Vance's early December statement means anything -- "There's only one more Lucy show to go, and that's already been made" -- "Mustache" was filmed at least four months prior to air date. Yes, it was broadcast April 1, 1960. Lucy didn't file for divorce until March 2, 1960. It's clear from these articles that the final episode was filmed several months before that, apparently in late 1959, so they were not divorced at the time it was filmed. However, they had known they were getting divorced for a long while. Lucy waited until 1960 to file the motion due to concerns about being sued by Westinghouse. Don't the DVDs include production notes including date of filming? I remember the 2003 film depicted it being shot in February of 1960. But considering they also depicted a studio audience being in attendance, you have to interpret that as dramatic license. While trying to find a quote tonight I came across this line in Desi's book. "Before the end of the year we had to do the last LDCH..." On that same page he mentions Nov 1959 in relation to something else. So I think this lends more evidence to the theory of late 59'. I already addressed this point in my original post above. Lucy and Desi were filming commercials for Westinghouse, and "last piece of film" might refer to nothing more than a commercial. So does this pic throw a wrench in any dates? It couldn't have been April. I didn't make that "connection" before re-reading this thread just now: it ("Mustache") aired on April Fools Day... how ironic, sad. Jeez. It aired on April 1 (April Fool's Day). They must have known in advance when it would air and then did this publicity shot. I have known for decades that the show aired on April 1. But not until just now did it ever occur to me that it was April Fool's Day. And yes, I know April 1 is April Fool's Day. I just never connected that with respect to this episode. April Fool's Day and an unlucky number: 13. The last 3 Lucy-Desi specials ran against ABC's "77 Sunset Strip", then a top ten show (#6). "Desilu Playhouse" had been moved from its first season time slot, Monday at 10, to Friday at 8:30. Even without the Lucy-Desi shows, it's possible CBS would have pulled the plug on "Playhouse" anyway. Though only 3 new LDCH specials ran in the 59-60 season there were several repeats of previous season's shows. For 58-59 Desilu Playhouse ranked out of the top 30, even though the rest of the CBS line-up finished in the top 25. 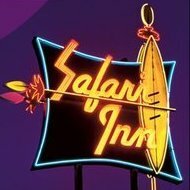 Name That Tune, The Texan, Danny Thomas and Ann Sothern ranked #25, #15, #5 and #21. The 57-58 LDCH's were the top 5 specials of the season but those were run at various times. I don't know about the 58-59 ratings. 10pm was not a great time for a Lucy Show. I don't know if the LDCH's were considered part of Desilu Playhouse as ranked by Nielsen but 58-59 had one great one "Makes Room for Danny" and two that have a lot going for them "Red Skelton/Alaska" and "Chevalier/Mexico" plus "Paul Douglas/Lucy Wants a Career" that people seem to like (I don't) plus the minor entry In JUNE: "Summer Vacation" which suffers from no-Mertzes. Monday nights Desilu Playhouse had little serious competition. It's possible that Desi's bravura failed him this time. He promised Westinghouse the world and when things turned out less than stellar, Westinghouse must have been disappointed. Desilu Playhouse came along at a time when the anthology format was waning in favor of the "them there days, the good 'ol days" western craze. Legend has it that Lucy "filed for divorce the day after they finished filming "Meets the Moustache" on March 3rd, Desi's birthday. You'd think she would have waited until AFTER poor Desi's birthday and after "Moustache" aired in April less than a month later. As depicted in the 2 identical TV movies, by the time of "Mustache" they were speaking to each other only through 3rd parties. Since "Moustache" is one of those filmed-without-audience LDCHs (as were most), was March 2nd the day they finished the shots needed to edit the master together? "Moustache" is a tepid hour, probably the least satisfying LDCH of all. The fact that Kovacs died in Jan. of 1962 before the summer when LDCH debuted as a CBS summer replacement series, cast a pall on the already star-crossed episode. As CBS moved up the date of their fall premieres, the entire run of 13 LDCH's didn't always air. Usually at the tail end were Paul Douglas (also deceased) and Mustache. Every year, they were run in the same order, but not the order of the original airings. "Danny" ran first, followed by the 60 minute abridged version of "Havana" "Horse Race" and "Mexico". The other acknowledged excellent hour "Talullah" was well down the line. I remember an adult cousin falling off her chair (and I mean LITERALLY) during the hammock scene from "Alaska". She was talking on the phone at the time and being rather foul-mouthed she answered the obvious question from the other end of the line "What are you laughing at?" Her answer: "oh, this GODDAM LUCY SHOW!". Her unbridled, uncontrollable laughter and those words I will never forget even though I was no more than 6 at the time. LDCH's filmed WITH audience: Havana, Danny, Paul Douglas. Portions of : Sun Valley, Horse Race, Alaska. Schiller claims portions of "Berle Hides Out..." were but if so, the audience response sweetening is so annoyingly overwhelming it's hard to tell. The "Japan" episode would have benefited by an audience. It's an episode that has grown on me though I could do without the discordant "Tokyo Pete". The last 3 suffer severely from poor direction, particularly the potentially hilarious Geisha house scene from "Japan". Who thinks others had portions filmed before audience? I totally agree about the bad directing for the final three hours. Unfortunately, they were all done by Desi. The scene where Lucy, Desi, and Milton Berle swing around in that bucket is absolutely astonishing to watch on a big-screen TV. Between the stuntmen, dummies, wires, ADR, and painted backdrops, (all of which look horrible) there's something new to see in every shot. From the first two 5-episodes a piece "seasons", I don't believe "Race Horse", "Mexico", "Alaska", "Summer Vacation" had ANY studio audience present, despite the fact many scenes were "house (stage) bound" and could readily accommodated them; however, between the increasingly challenging production issues as written in the scripts (e.g., I sincerely doubt they'd risk filming so many integral scenes dependent upon the training and timing of a live horse in "Race Horse" when it was simpler to shoot it "movie-like" and more piecemeal as needed sans an audience); the last 3 definitely had no live audience present but given the quality of the scripts (and let's be real, the animosity between the leads which was increasingly difficult to hide), it was probably a mixed blessing for all involved. As these 13 extended L-D episodes proved -- ironically -- what they initially insisted upon to help sell the show and keep it in LA, Lucy truly was better with an audience and IMHO, with "Havana", "Tallulah", "Danny Thomas" and "Career" shot entirely with one (and "Uranium" and "Sun Valley" partially so, actual location exteriors excluded), these superior, funnier episodes certainly made their case...and hold up better upon repeated viewings much, much better than the others. Yikes! My thread has been hijacked. If anyone can further the discussion of the subject heading --"When was the last Lucy-Desi Comedy Hour actually filmed?" -- with any possible evidence pinpointing an actual date, that would be most helpful. I've been doing some more snooping this afternoon but haven't found anything too useful. The Google Newspapers site no longer seems to be providing old newspaper archives. At least I get nothing anymore when I do a search. I did find one website that claimed Frank Gorey started working for Lucille Ball in October 1959, and that he was on the set when the episode was filmed. Maybe he knows something? I'm leaning towards the information Luvsbway shared that points to November 1959. Frank would have only been on the job for a month, if that's the case. And it might stick out in his mind given that he was a brand new employee at that point. Hijacked?? Or ... "morphed"? Wouldn't be the first time!! You can call me Little Miss Morpher. That's why we miss CLAUDE! Nope, not morphed. There was a sudden long-distance OT detour. Next time I see you, I will most certainly call you that FIRST suggestion. More like a "disturbance" in The Force!